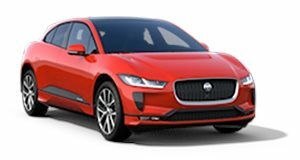 Jaguar Land Rover is developing its next phase recycling initiative where it says it ‘plans to transform the vehicles of today into the cars of tomorrow.’ Dubbed the Reality project, the project aims to recover aluminum from existing Jaguar and Land Rover vehicles and reform it into a new high-grade aluminum to create new vehicles. 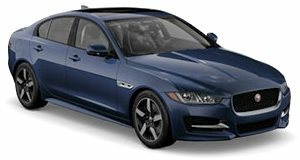 JLR was the first to use aluminum alloy grade RC5754 (which contains 75 percent recycled aluminum) back in 2014 on its XE sedan and this next step will further reduce their aluminum use and allow for more efficient recycling procedures. Currently being tested on pre-production I-Pace prototypes, the new recycling technology should significantly lower aluminum wastage. When the project, which is co-funded by Innovate UK, is finalized it will help JLR extend its closed-loop scrap processing abilities and reuse these raw materials in new vehicles. To ensure that this next stage in aluminum recycling is suitable for automotive use, the aluminum is being tested by Brunel University scientists. Strength tests will be conducted and the metal will be graded on its purity to ensure it meets the required mechanical standards to be used in body panels across the Jaguar and Land Rover ranges. The future of sustainable mobility lies with initiatives such as the Reality project. Thanks to continuously striving to reduce its environmental impact, Jaguar Land Rover has already reduced its global vehicle manufacturing operating CO2 by 46 percent per vehicle and remains committed to an ongoing decarbonization process.